The streets of Hanoi's old town are named in a very logical way. Cha Ca street is where you can find the fish dish "cha ca." 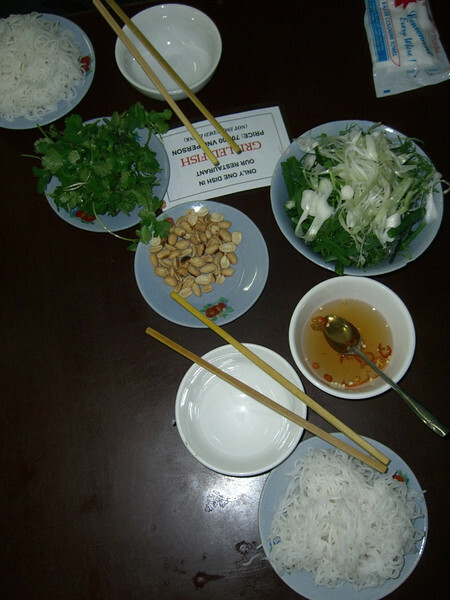 When you enter Cha Ca La Vong, a small card is placed on the table that said "Only one dish in our restaurant" and then the fixings of rice noodles, cilantro, roasted nuts, mixed greens and vinegar with chilies.